Stock photos are everywhere, and it’s really no wonder why. Clean smiles, freshly pressed suits, unnaturally perfect lighting– line-up a series of images and pretty much anyone is guaranteed to pick out the stock photo. They are cheap, easy to use, and add that little bit of tangential flare to the top of any blog post. They’re professionally made, by people who know what they’re doing, and they look clean. For many website maintainers, especially those handling small-time websites, that’s enough to sprinkle them throughout all sorts of digital content. While these images do look fine and nice enough, they truly aren’t doing anything for your digital appearance. In fact, most people accessing your website to get a good glimpse of your business will simply find that they aren’t seeing anything real at all. Whether they realize it or not, that’s a big turn off. Let’s talk about how stock photos are destroying every little ounce of individuality your brand works so hard to maintain and, if you must, how to you them. Let’s face it: the accounting industry often gets overlooked for its mild marketing presence. This truly is unfortunate, especially when you consider your own firm and recognize all the outstanding talent you have and the tremendous value you provide your clients. It’s admittedly tricky to balance on the tightrope of professional and personable. In today’s world, that line isn’t as clear as it once was. Now, it’s important to understand that outsiders are looking for good marketing, they’re looking for thoughtfully, tastefully crafted brands and digital presence. They’re looking for content and imagery that shows your knowledge and expertise. Visitors want to see concise and consistent branding and messaging and unique glimpses at your business. They’re looking for a reason to choose you. Slapping some bright photos of young professionals sitting around a conference table with their thumbs up on your ‘About Us’ page is just confusing. They put a wall between you and your clients. It tells them, inadvertently, that there’s simply ‘nothing to see here.’ They contribute to the already overwhelming amount of white noise that every average web-user is accustomed to seeing. Just as we pass billboards along a highway without taking much notice, potential clients might do the same with your content without thinking twice about it. It’s all white noise to the daily web-user. When you’re looking for reasons to set you apart from your neighboring competitors, the answer lies within the unique, transparent brand you develop online. Using stock images without much thought or purpose is truthfully killing your brand. Ditch the white noise of stock photos and let prospective clients get a real, clear image of what your firm is like. Trust us, you won’t regret it. 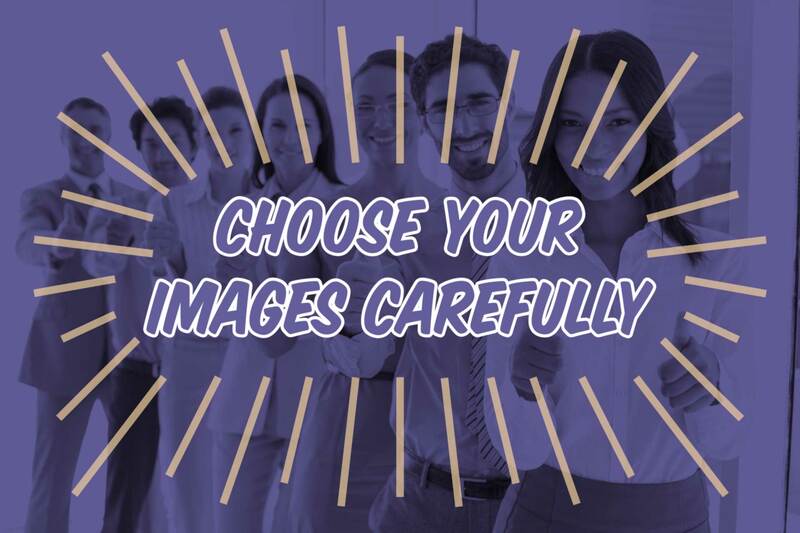 Overall: Just be cautious about how and why you’re using stock images and you should be fine. If it’s a banner on your home page, reconsider. If it’s simply a filler for a blog post, it’s not going to damage your appearance much. Whenever you choose a stock image, make sure you choose one that makes sense, even a little bit. There’s almost never a need to post any pictures of professionals in a white room. However, little pictures of desks, books, computers–whatever you have that’ll at least connect to the overall topic of your content will be alright. Sometimes, you just can’t take the time to capture the right picture yourself, and that’s understandable. Just be cautious about how and why you’re using stock images and you should be fine. Of course, talking with your marketing partners about your current photos and how to update them can do wonders for your website. 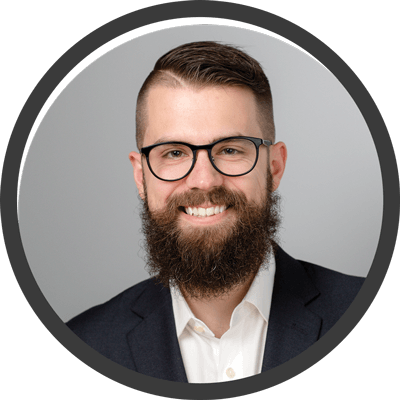 Spending a little money on some decent pictures of your business, your team, and headshots or key members of your firm can help you spruce up your digital presence and let your clients know you’re serious about the way you look. If you’re done working with boring stock images, give us a shout! We’d love to talk through your online presence and help get you just where you want to be: in front of prospects.